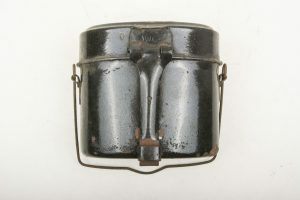 A nice early M31 messkit marked HRE42 indicating production by Heinrich Ritter, Esslingen. 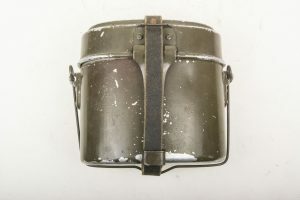 The Messkit comes with a equally 1942 dated original strap. Still retaining up to 90% of its original factory paint, near mint and complete with a strap! A nice early M31 messkit marked HRE41 indicating production by Heinrich Ritter, Esslingen. Still retaining up to 90% of its original factory paint, near mint! 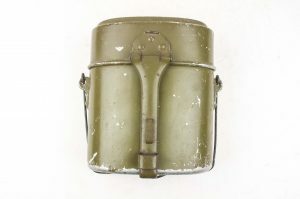 A very nice late war enamelled M42 messkit in good, lightly used condition. Inside shows a nice speckled enamel finish. 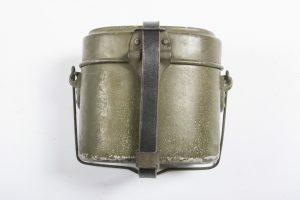 The messkit still retains most of its original enameling and is a typical late war messkit in very good condition! 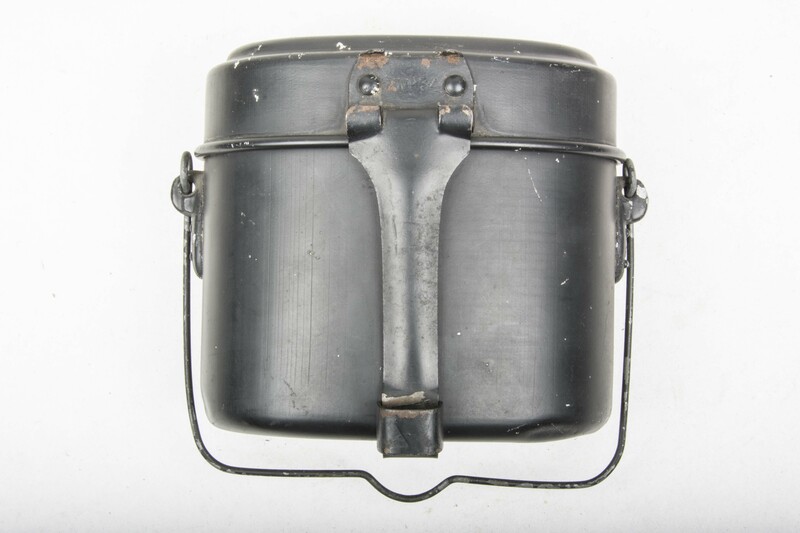 A very nice Prewar RZM M6/43/39 marked messkit in mint condition. 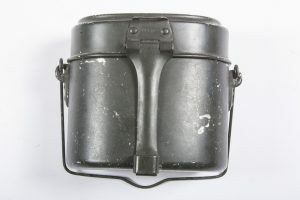 Unlike many tall prewar RZM messkits in black, this Messkit is executed in Feldgrau indicating production for the Waffen-SS. Nicely named on the back to Helmut Dittrich. Black M31 Kochgeschirr marked HWP 34 indicating production by Hermann Wuppermann, Pinneberg. 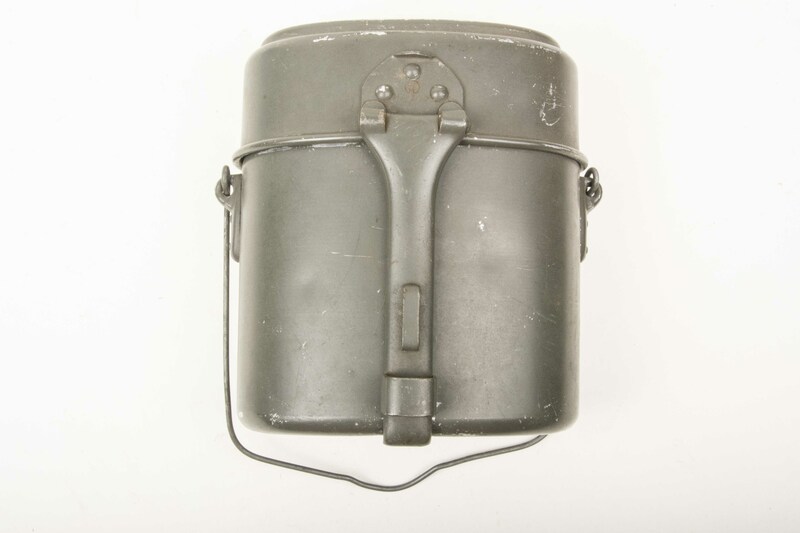 The messkit retains up to 95% of its original factory paint. The top loop for the strap is the first open model. 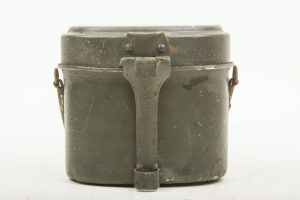 One of the rarest manufacturers/types of messkits in near mint condition! A very nice pre war messkit marked SMM28 indicating production by Süddeutsche Metallwarenfabrik, Mussbach in 1928. 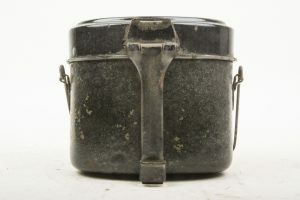 This is the first inter war period messkit I’ve found. It still retains up to 80% of its original grey paint. This tall, pre war model was most probably made and used by the Waffen-SS. Nicely marked RZM M6/2/40 and HRE indicate production by Heinrich Ritter, Esslingen in 1940. The usual prewar political models for the Hitlerjugend, Allgemeine-SS and SA where finished in a black paint. 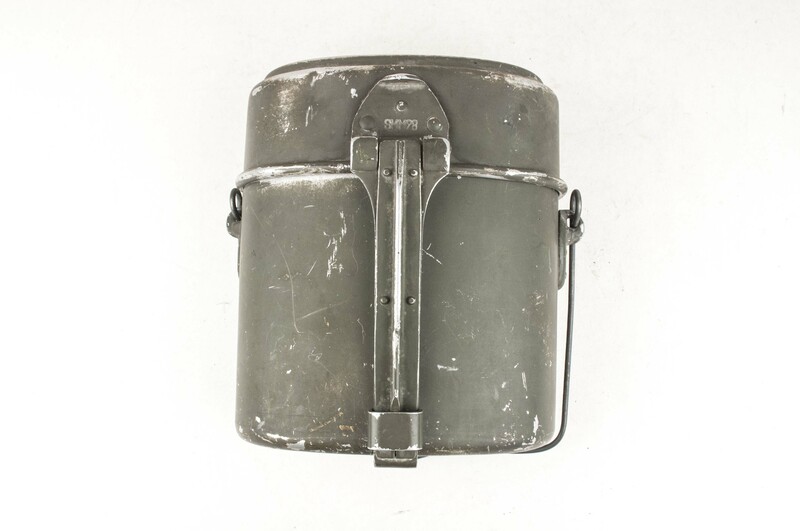 This one, being produced in Olive paint was most probably produced and used by the Waffen-SS as can be seen on many wartime pictures. Nice condition!